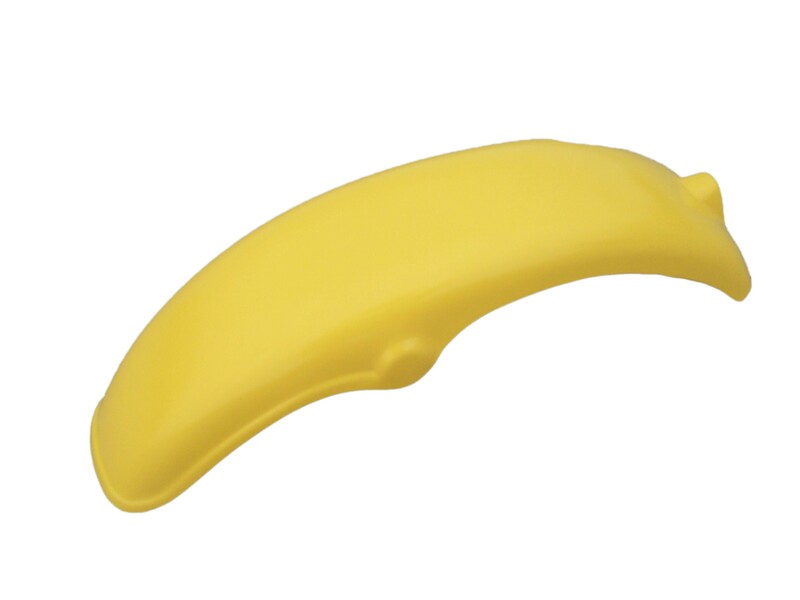 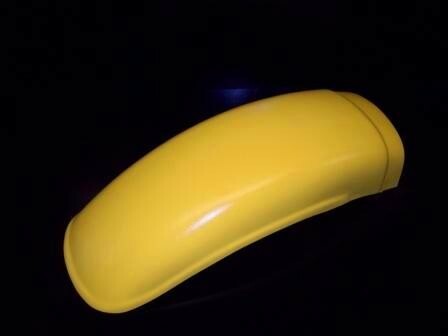 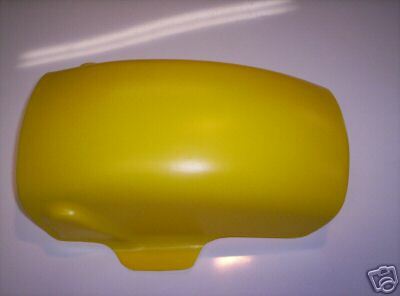 Available in yellow, translucent or white. 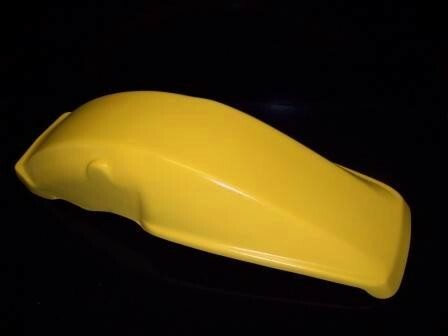 Correct for the 1976 RM 100. 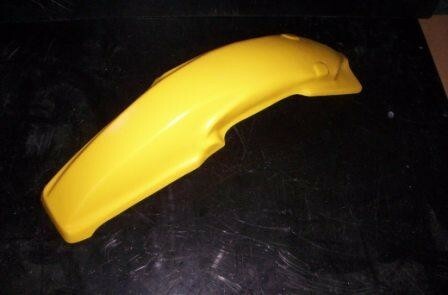 1977/1978 Suzuki RM 80 RM80 Rear Fender. 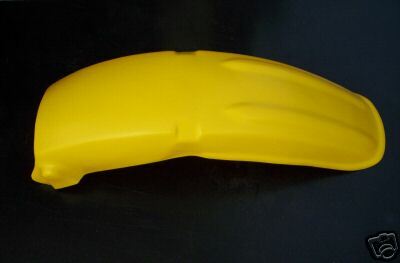 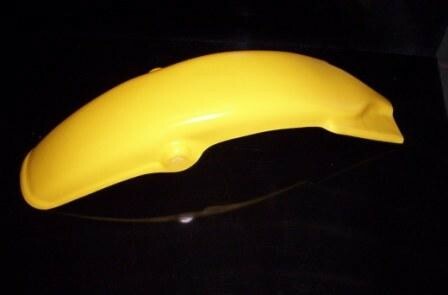 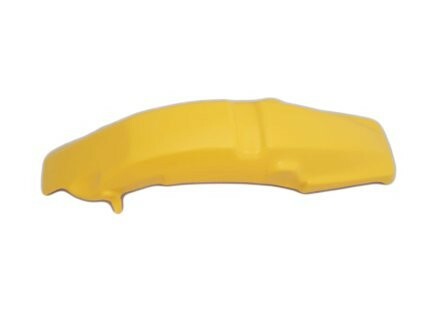 Molded from an OEM fender. 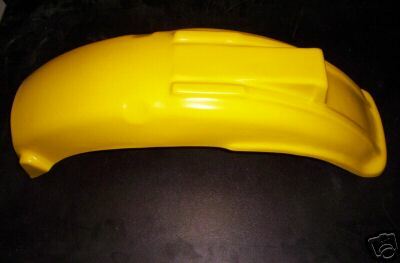 Manufactured from high density polyethylene plastic. 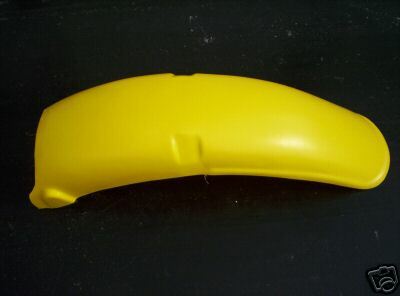 Matte finish.